There is a calm, iamb-ish regularity to the poems in Overpour that makes them sound almost like natural speech, and when a poem progresses in sections, the sections are nearly always the same length (the same is true for stanzas). Even when poems gesture at the possibility of serious disturbance, the disorder is kept in check by their formal regularity. In short, there is a loose but assertive structure governing Overpour, and it’s thanks to this structure that spores, mold, and rot are allowed to exist within scenes of pastoral and domestic normalcy. Far from undercutting the murky threat posed by these images, this insistence on order forces the reader to grapple with the shiny surface of things. In “Ceremony,” for example, the speaker observes: “The soap scum at the bottom of my tub grows another life. / This is what we were promised: another life.” The tonal shifts in these two lines are abrupt, and devastatingly so. Soap scum, grimy but otherwise harmless, has its power magnified tenfold when it becomes the source of life at the bottom of the tub. Just as quickly, however, the vitality of the scene becomes a figure of grand disappointment—a promise unfulfilled, a life unsatisfactorily lived. by part and is gone. Here, the failure of the call signals not only a communicative breakdown but also an ontological one. The speaker’s inability to find an object to latch onto is symptomatic of a deeper uncertainty, something that threatens to undo her. The only concrete image in this passage is that of the dissolving ice, and while the image certainly captures the speaker’s lost sense of self, its emotional precision is as much a product of the lines surrounding it as it is of its own vividness. 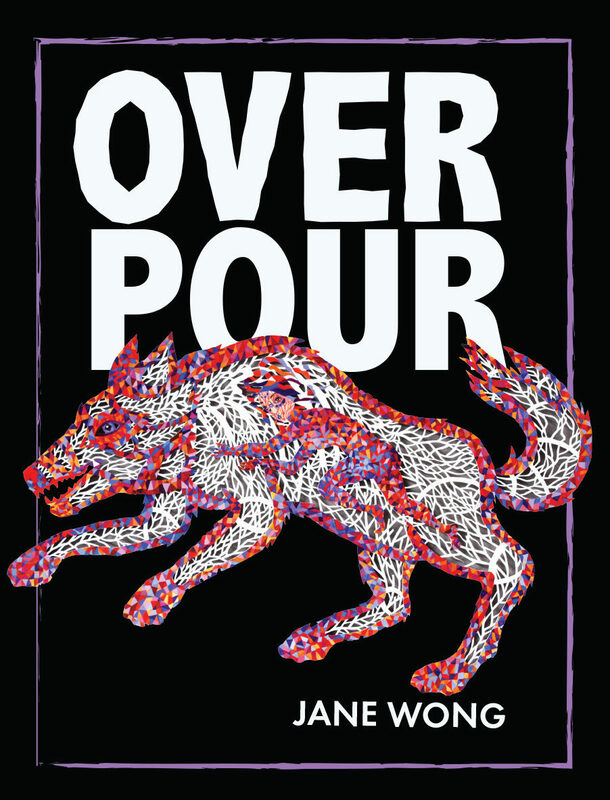 Throughout Overpour, Wong makes use of the pluripotency of infinitive verbs, often as the tail end of a set of instructions, an aphorism, or a command. Occasionally, these actions are left alluringly untethered, as in the lines above. The two infinitive clauses surrounding the image of melting ice help the reader to trace the movement from the self’s disassemblage—its prying-apart—to its disappearance and ultimate impossibility in just a few short lines. The drama of the scene is in the incompleteness of expression, and these infinitives allow the speaker’s thoughts to trail off preemptively, such that the lack of resolution for her crisis of self entirely hinges on the anticipation of another clause or a stable subject onto which the verbs could attach. Sometimes I think: can Walden exist in China? floral soap I can’t bear to clean my face with. The action of leaving from and going back to the village is made as tangible as the floral soap, both ineffectual ways of returning to nature, or to whatever metonyms for “nature” we construct in its absence. The infinitive also allows the reader to temporarily sidestep the question of whether Walden can exist in China, and instead behold a vision of nature as a series of gritty compromises. In the lines that follow, the sun is made to reek of urine and illuminate a moment of unrestrained consumption—about as far away from the typical vision of nature as a place of peace and rejuvenation as you can get. In her dissertation on the notion of “haunting” in Asian American poetry, Wong examines the ways in which “history–particularly the history of war, colonialism, and marginalization–impact[s] the work of Asian American poets across time and space” and “language act[s] as a haunting space of intervention and activism.” With this in mind, we can think of “Pastoral Power” as being haunted by China—in particular, a version of China assembled from hearsay by someone who has never lived there, a China that can only be found on the other end of a hole dug by a childhood neighbor in New Jersey. Put another way, it’s the “American” in “Asian American” that makes China a spectral figure in the poem rather than corporeal one, and it’s through images of hedgehogs, mossy grins, and silk being washed by hand that a narrative about transcendentalism, migration, indebtedness, and the proximity of nature to violence is told. The poem’s only other explicit reference to China occurs when the speaker admits, “Shining, / how I mistook a fountain in Vegas for my mother. / How I mistook Shenzhen for a forest of sneakers.” The operations of transnational capital—of which Las Vegas and clothing factories are prime examples—saturate the channels through which Wong is able to imagine China and even her own mother. If hauntings are mostly background chatter with moments of violent interruption, then these half-natural/half-artificial visions are those moments, and they throw into sharp relief the constructedness of ostensibly natural things. More than simply surreal, these striking images reside in clauses that, much like lone infinitives, are grammatically directionless. This structure serves to amplify the sense of disorientation caused by the speaker’s moments of misrecognition, reminding the reader of the absurdity of most attempts to return to anything, especially nature. In the end, the speaker seems to conclude that, no, Walden can’t exist in China—but it can’t exist anywhere else either. Dandi Meng is a writer and scholar living in Seattle. Her writing can be found in Bear Review and Raven Chronicles, and on The Offing. She is a graduate of the University of Washington and a soon-to-be PhD student in English at UCLA.